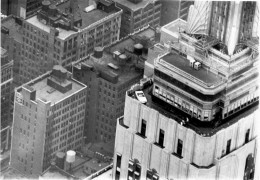 •Ford engineers and technicians cut the car into four sections that would fit into the building elevators, then added brackets to enable quick disassembly and rebuilding. In 1965, the Ford Mustang was the talk of the nation. The first calendar year of production saw sales of more than 400,000 units, well over the 100,000 units projected in the original business plan, making it the fastest-selling new car of all time. Today, with instantaneous multimedia communication around the world through the Internet and social media, generating marketing buzz is a huge industry. In 1965, it was a bit more challenging. 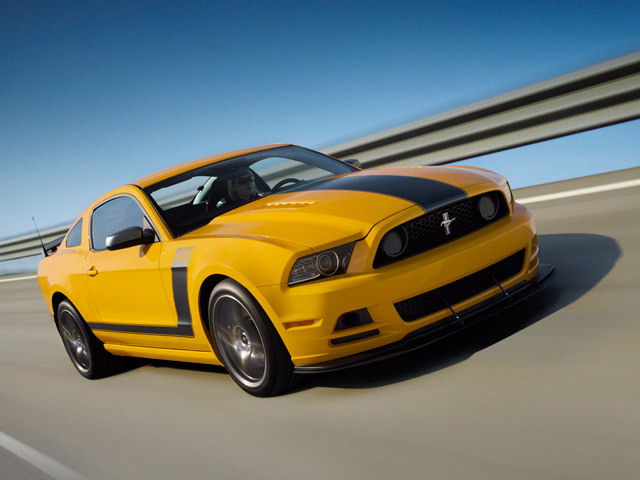 Robert Leury, vice president and general manager of the Empire State Building saw the Mustang sales figures and thought heâ€™d love to gain a slice of that frenzy. In the fall of 1965, Leury invited Ford division merchandising manager William Benton in for a meeting to discuss how to pull off a headline-grabbing spectacle. What follows is one of the most outrageous examples of 1960s-era advertising moxie. After the meeting Benton returned to Dearborn and formed a tidy team of eight with one goal: Put a 1966 Mustang on the 86th floor observation deck of the worldâ€™s tallest, most iconic building. The challenges were significant. Due to the buildingâ€™s stupendous spire and sloping upper architecture, it was determined that lowering a complete car onto the observation deck via helicopter was just too complex and dangerous, so another approach had to be developed. This is where Ford engineers set to work. The crew took a trip to New York, measuring tapes in hand, carefully noting the dimensions of the buildingâ€™s doorways, halls, rooms and elevators. After some back-of-the-napkin calculations the plan was set: Slice a perfectly good â€˜66 Mustang convertible into pieces, stuff it into the passenger elevator, then put it back together at the top. The trick would be to split the car and put it back together in such a way that it wasnâ€™t apparent as anything but a production vehicle â€“ no cuts to the sheet metal, no trick hinges or fake fiberglass panels. Everything had to appear to be stock Mustang. Back in Dearborn, the team went to work. 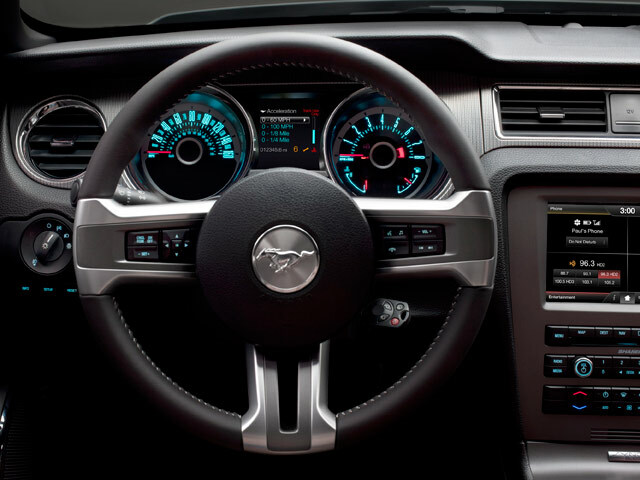 In order to fit the 15-foot-long Mustang into the seven-foot-tall elevators, they decided to cut the body of a white convertible into four main sections: windshield, front end, center body and rear end. The front seats, center console and doors were temporarily removed to simplify access. Next, the engine, transmission and driveshaft were removed. At this point, they could do the dirty work and cut the floor pan out â€“ the rear slice was done right at the rocker panel below the trailing edge of the door, while the front followed the seam at the bottom of the leading edge of the door. The final cut was at the base of the windshield frame. Now the trick was putting it back together. A series of brackets was designed and fabricated so the pieces of the car could slide together and be bolted in place, once again rigid enough to act as a display car. To make the job of moving the heavy pieces around managable, a rolling dolly was built to guide the front and rear halves into and out of the elevators. The team made three practice runs up similar elevators at the Ford headquarters in Dearborn and everything checked out. The only thing left was to set a date. At 10:30 p.m. on Oct. 20, 1965, the crew, decked out in crisp white overalls, met at the base of the 1,472-foot-tall Empire State Building and unloaded the car. They disassembled it in front of astonished onlookers. Everything was progressing as planned and they started moving parts up the elevator. Despite all the upfront planning, the front section was found to be exactly Â¼-inch-too tall for the elevator door; the steering wheel was in the way. After some careful jostling, it was slipped through the doorway. Once at observation deck level, the team rolled the sections out the 32-inch-wide door and reassembled the Mustang in gusting 40 mph winds by 4:30 a.m. â€“ just in time for a short break, before news helicopters gathered to begin photographing the car from above. By 11 a.m. photographers had gotten their fill and the car was taken apart once again and reassembled in the observation floorâ€™s inner room, where it greeted an estimated 14,000 visitors that first day and countless more for many months to come. This sort of high-profile marketing no doubt played a part in getting people into showrooms that year. 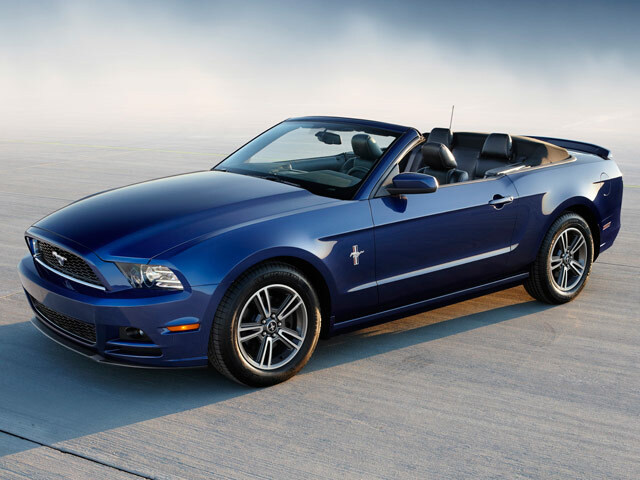 In 1966, Ford sold an incredible 607,568 Mustangs â€“ the most ever in a single year. By March 1966, an unbelievable 1 million copies had been sold since launch â€“ just about the same time the little white Mustang convertible on top of the Empire State Building was about to retire from the highest showroom in the world.